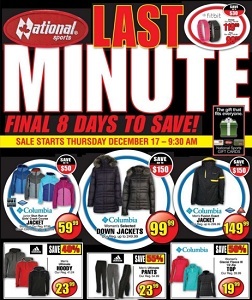 This week National Sports flyer online. 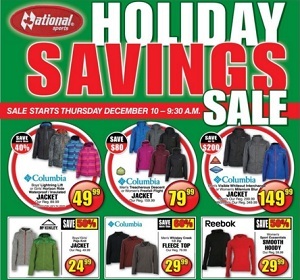 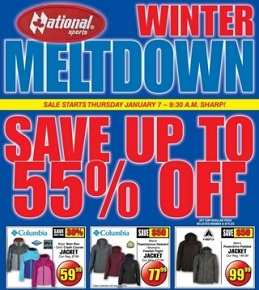 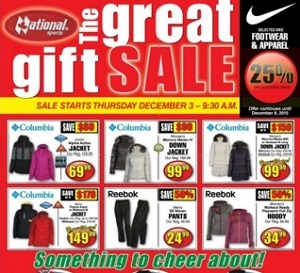 Best National Sports weekly flyer specials, sales, coupons, deals and offers in a single place. 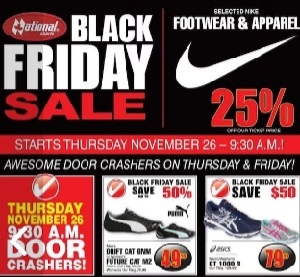 National Sports is a Canadian company located in Ontatio, with 18 stores across the province in Barrie, Brampton, Cambridge, Concord, Erin Mills, Hamilton, London, Mississauga, Newmarket, Oakville, Oshawa, Peterborough, Pickering, Scarborough, St. Clair Beach, Waterloo, Whitby and Windsor.